What we love about Japan in Autumn? The stunning Fall Foliage that changes the moods and colours of the entire country — and it’s not just in October! The special part is that Japan changes into Fall colours from early October all the way to the end of December, and this is also variable due to different plant species and climates in this stunning country that makes for a visual treat. The act of viewing autumn leaves is called “momiji-gari” in Japanese. So enjoy ‘momiji-gari’ Japanese style in a sweep of the top 30 spots in Japan to view Fall Foliage! 1. Hitachi Seaside Park (Ibaraki): This park offers Autumn landscapes that are unlike other Fall views. You can see bright red Kochia bushes, fields of orange and red cosmos flowers — in several thousand that make for a stunning and unique view. 2. Kodomonokuni (Kanagawa): Located just 30km from central Tokyo, Kodomonokuni is a great place for families to spend a fun-filled day, as the expansive park contains a huge variety of attractions, such as a petting zoo, mini railway, sports facilities, camping, and picnic sites…and, of course, many places to see stunning autumn foliage. 3. 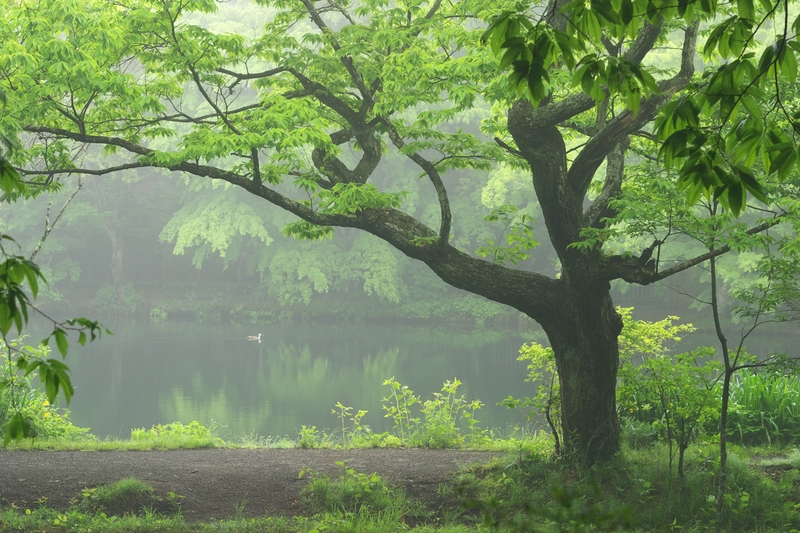 Nasu Kogen (Tochigi): Located around 2.5 hours from Tokyo, Nasu Kogen is the perfect place for those who want to get away from the city and experience nature. Take a ride on the ropeway gondola for amazing views. 4. Jozankei Onsen (Hokkaido): This is considered by many to be the best place to see fall foliage in all of Hokkaido. 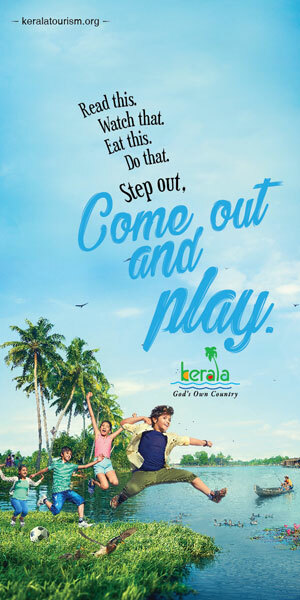 During peak season (October 1st – 21st), there are volunteer-led bus tours that stop at all the best spots, but during the rest of the year, there are many scenic walking trails, as well as various hot springs that tourists can enjoy. 5. Lake Toya (Hokkaido): Walking trails and ropeway gondolas are fairly common ways to see the fall foliage, but nothing beats the experience of seeing it from a boat? Lake Koya offers sightseeing boat tours around its central island, which, as you can see, displays beautiful colors in the autumn, especially when contrasted with the pure blue of the lake and sky. 6. Moiwayama Ropeway (Hokkaido): This ropeway, located right next to the huge city of Sapporo, allows visitors to see an impressive view that combines the beauty of nature contrasted against the urban landscape of the city. Visit during the day if you want to see the autumn foliage, but if you stay after sundown you will get to see one of the three best night views in all of Japan. 7. Zuihoji Park (Hyogo): Zuihoji Park is a momiji (Japanese maple) grove that is known as one of the best places in Hyogo Prefecture to view autumn foliage. There is a park cafe that only opens during the peak fall foliage season (late October – late November), so be sure to go during that time in order to enjoy some traditional Japanese sweets. 8. Shinsendo (Kyoto): Shinsendo may look like a temple, but it was actually the private residence of the Edo-era scholar, Ishikawa Jozan, who spent 31 years here in isolation after constructing it in1641. Nowadays, Shinsendo is famous for its fall-time view that contrasts red momiji trees and bright green moss-covered stones. 9. Biwako Valley (Shiga): The Biwako Valley Ropeway is the fastest in all of Japan, and makes a 1.8km long journey from the shores of Lake Biwa up to the top of Mt. Horai. 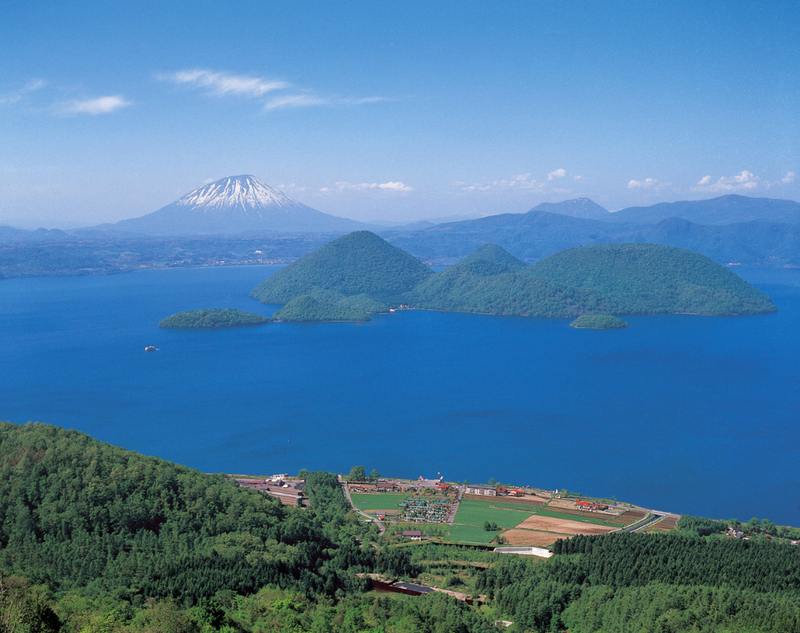 Along the way, you get to enjoy stunning views of Lake Biwa and the surrounding landscape. The top of the mountain has plenty of attractions too, such as a cafe, viewing platform, and even ziplining. 10. JR Tadami Line (Fukushima): Another great way to experience the fall colors in Japan is via train! The JR Tadami line in Fukushima Prefecture has stunning views any day of the year, but if you have the chance you should try to book a seat on their special “Kazekka Tadami Line Koyo-go,” a retro train journey specifically designed to showcase the fall foliage of the region that runs for two days each October. 11. 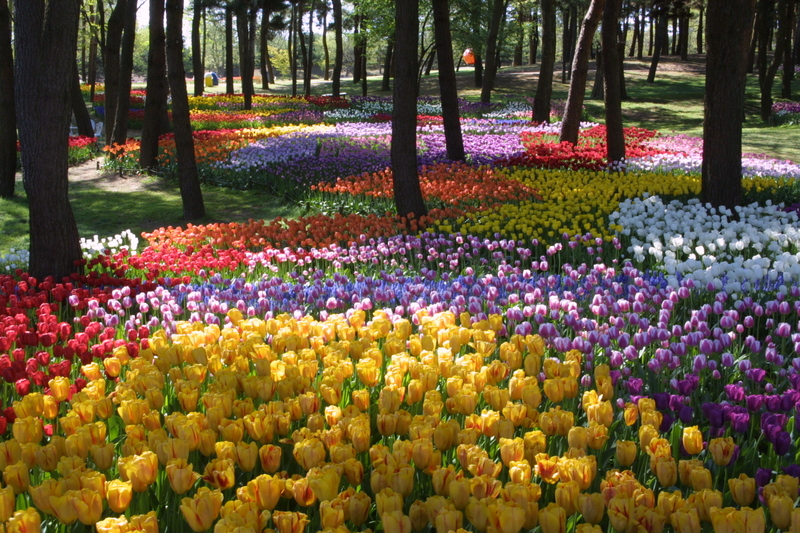 Hirosaki Park (Aomori): Hirosaki Park is a castle park full of various structures that are over 400 years old! In the fall, you can enjoy gorgeous scenes of the various fauna in the park, and at night time the entire area is lit up, creating a stunning view that is totally different from the day. 12. Genbi Gorge (Iwate): This is the place to get a look at a unique riverbed landscape full of interesting rock formations that you can’t usually see. In the autumn, the trees that line the gorge turn beautiful colors, creating a scene full of dynamic contrasts between the foliage, water, and rocks. Check out the following article for more details about the above three fall foliage spots in the Tohoku region. 13. Kumoba Pond (Nagano): This is a spot in the popular resort town of Karuizawa, Nagano, where you can see a multi-colored scene of fall foliage reflected in a still, mirror-like lake. This spot is quite close to Karuizawa Station, so you can easily go shopping or visit other sites after making your tour around the scenic pond. 14. Mt. 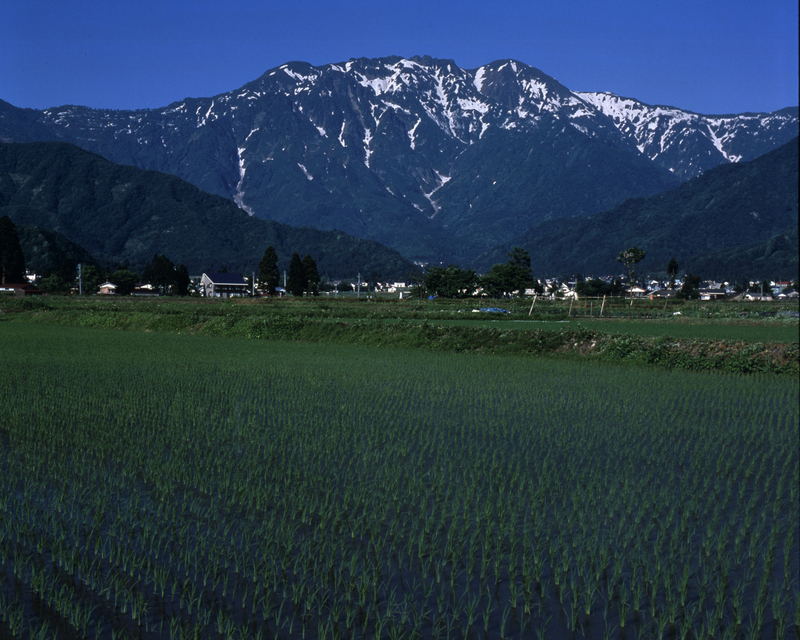 Hakkai (Niigata): For those who love to go hiking and work for their beautiful views, Mt. Hakkai (Hakkai-san) is the place to go! Mt. Hakkai is actually considered a “sacred mountain,” and is one of the Three Mountains of Etsugo. If you don’t want to hike all the way to the top of the 1,778m high mountain, there is a ropeway gondola that you can take, as well. 15. Komoro Castle Ruins Kaikoen (Nagano): Komoro Castle Ruins Park is a place where you can see beautiful autumn foliage among historic ruins such as walls, statues, and walkways. Visit from October 20th – November 18th, as that is when the daily festival devoted to fall foliage – the Momiji Matsuri – takes place. 16. Shirakawa-go (Gifu): Shirakawa-go is a UNESCO World Heritage site that is famous for its neighborhood of traditional triangle-shaped houses called gassho-zukuri (“constructed like hands in prayer”). The mountains in this area start to change color in late October, creating a beautiful scene. This is a great place to spend a day casually walking around while enjoying a traditional Japanese atmosphere. 17. Chausuyama Plateau (Aichi): Mt. Chausu (Chausuyama) is not only the tallest mountain in Aichi Prefecture, but it is also the first place in the prefecture to start changing colors each fall. On the peak of the mountain, you will find the Chausuyama Kogen Ski Resort, which has several attractions. 18. Mt. Gozaisho (Mie): You can enjoy the beautiful scenery of trees painted in autumn colors extending from the peak of Mt. Gozaisho (Gozaisho-dake) all the way down to the hot springs at the base from inside a ropeway gondola. The side of the mountain is covered in several varieties of trees that turn different colors in the autumn, creating a spectacular, multi-colored landscape. 19. Murodo Plateau (Toyama): Murodo Plateau (Murodo-daira) is a spacious plateau at an elevation of 2,450m that is popular among everyone, from casual tourists to climbing enthusiasts. The plateau includes many natural sights, such as various ponds and views of 3,000m-class mountains. The whole area turns into various beautiful colors in the autumn, making it even more of a must-visit location. 20. 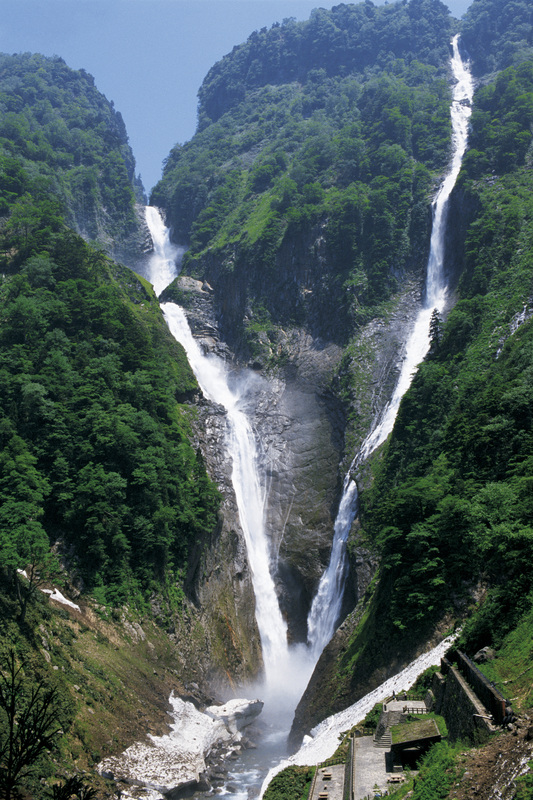 Shomyo Falls (Toyama): With an elevation of 350m, Shomyo Falls (Shomyo-daki) is the highest waterfall in Japan, and is a must-see spot if you are ever in Toyama Prefecture. The waterfall is especially beautiful during the fall foliage season, so you should definitely add it to your momiji-gari itinerary! 21. Mt. 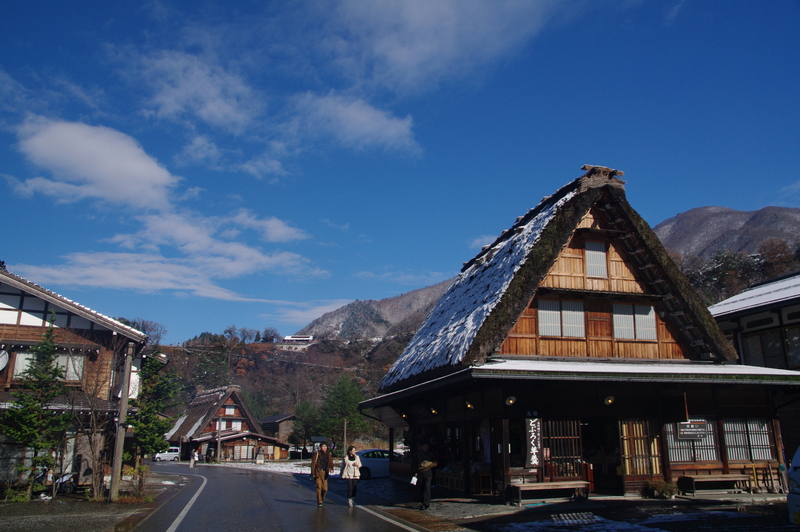 Haku Shirakawa-go White Road (Ishikawa): This is a 33km-long scenic road that connects the sacred mountain of Mt. Haku (Haku-san) with the popular Shirakawa-go area. In addition to enjoying the scenic drive from inside a car, you can also step out and enjoy the scenery from the viewing platform on Mt. Haku. 22. Okayama Korakuen (Okayama): This park is most known for the Chishio-no-mori Grove of maple trees, which is a famous spot for fall foliage, but you can actually see beautiful fall colors in several places within the precincts. Some of the trees here start changing colors even as early as mid-September! 23. Hiruzen Daisen Skyline (Okayama): The Hiruzen Daisen Skyline is a scenic road that connects the Hiruzen Plateau (Hiruzen-kogen) in Okayama Prefecture to Daisen Kagamiganaru in Tottori Prefecture. Along the road you will find the Kimendai Observatory, which is a must-stop location for those who want to see a stunning panoramic view of the surrounding areas, which includes Mt. Daisen (Daisen) covered in maple and beech trees. 24. Sankei-en (Hiroshima): This garden was built to celebrate the opening of Hiroshima Airport, and is designed to replicate the scenery of the Seto Inland Sea (Seto Naikai) and the mountains of Hiroshima. It is known for its 95 varieties of Japanese irises that bloom in the summer, but it also displays beautiful autumn foliage in October, making it a good choice to add to your itinerary no matter what the season. 25. Okubo-ji (Kagawa): Okubo-ji is the last stop among the 88 temples that make up the famous Shikoku Pilgrimage (Shikoku Henro). The Hondo (main hall) and two-storied pagoda are located at the base of Mt. Nyotai (Nyotai-san). There are many maple and ginkgo trees within the precincts that show of gorgeous colors during momiji-gari season, so be sure to stop by, even if you’re not completing the Shikoku Pilgrimage. 26. Mt. Kamegamori (Ehime): The Kamegamori area is full of gorgeous fall foliage of various types of trees, such as urojiro-momi (a type of fir tree native to Shikoku, Japan), Japanese beech, and Mongolian oak. The “UFO Line” is a scenic drive that travels along Mt. Kamegamori (Kamegamori) at 1,300m to 1,700m above sea level, and offers stunning views of the surrounding scenery in any season, but especially during the fall. 27. Odamiyama Gorge (Ehime): Located within Shikoku Karst Natural Park, Odamiyama Gorge (Odamiyama-keikoku) contains over 20 varieties of maple trees that all show off beautiful colors each year, starting in October. You can enjoy the fall foliage on the 1.5km walking trail that goes along the gorge. 28. Shinyaba Gorge (Oita): The Shinyaba Gorge (Shinyabakei) follows the Yamautsuri River (Yamatsuri-gawa), a tributary of Yamakuni River (Yamakuni-gawa). 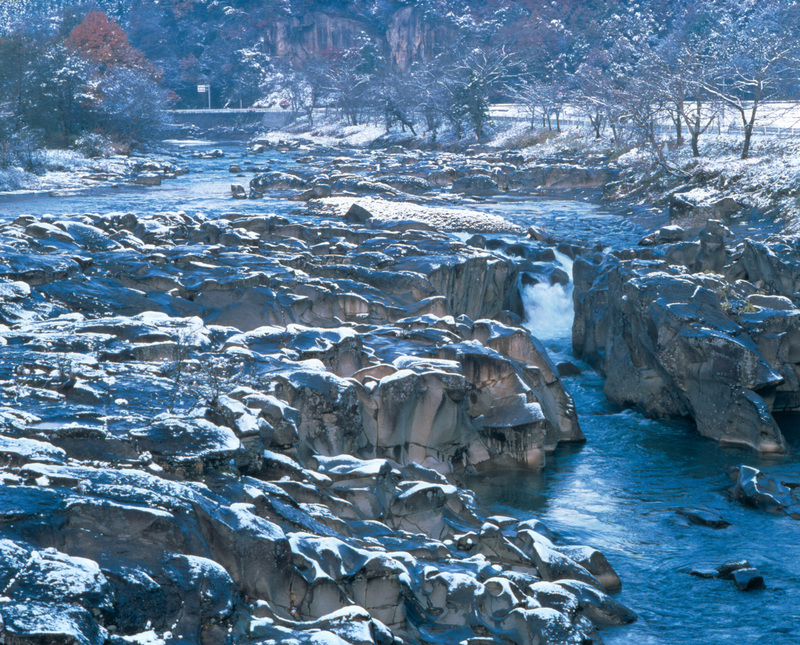 The most popular site along this gorge is the Hitome Hakkei (“one sight, eight views”), in which you can see 8 different unique rock formations at one time. There is also a viewing platform from which you can see the gorgeous autumn scenery spread around. 29. Nomiyama Kannon-ji (Fukuoka): This is the head temple of the Koyasan Shingon sect of Buddhism. In addition to visiting here to pray for divine protection or to enjoy the cherry blossom in the summer, visitors can also visit this temple during the autumn to see some beautiful fall foliage, which even includes rare Kochia bushes. 30. Nita Pass (Nagasaki): The Nita Pass (Nita-toge) is a mountain pass that connects Mt. Myoken (Myoken-dake) and Mt. No (No-dake) in the Unzen mountain area in Nagasaki Prefecture. There is a ropeway gondola that you can take to the peak of Mt. Myoken, and right after you get off you will see a viewing platform that provides stunning views of the entire Unzen area. This area is also popular for driving as well as mountain climbing. Do Visit Japan in Autumn — where once is never enough!